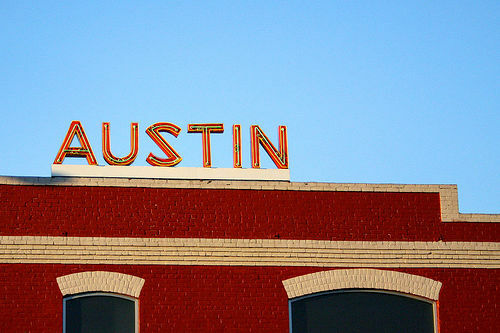 Austin Tech Geeks creates a list of the best tech events happening in this great city of Austin every month. The event information is gathered from various sources. Here are the events for November 2010. Austin serial entrepreneur and favorite SmartBear, Jason Cohen (@asmartbear), along with Cullen Wilson (@cullenw) and Aaron Brazell (@technosailor) have just launched WP Engine. GeekAustin is throwing a launch party for them at the Phoenix. Funding a Start-up: A Straightforward Look at Options for Entrepreneurs. There is likely no business issue more shrouded in mystery than funding. With so many options for raising money, entrepreneurs can find themselves going down the wrong path pursuing financing that is not right for their company. The McCombs School Information Management Program will present a full-day learning symposium on the next generation of enterprise IT and innovation. An outstanding keynote speaker and top-level panelists will focus on the opportunities, risks, data leverage, and new business models enabled by cloud computing. Join us for an engaging learning experience that will help your company win with enterprise 2.0. Open to all. Richard Garriott to headline panel discussion on the new World of Gaming. General Electric and Arbor Networks will share their story of business growth in Michigan. Leaders from the University of Michigan and Michigan State University will also provide an update on what’s new on campus. The IEEE joint Communications and Signal Processing Chapter in Austin is hosting Prof. Angel Lozano for a talk on MIMO and future prospects of wireless communication at the November chapter meeting. Prof. Lozano is from the Pompeu Fabra University (UPF), Spain and would be visiting Austin during November and has kindly agreed to give a talk at our chapter. This will be our last chapter meeting for this year. Hope to see you there! Join Guidewire Group, Start-up District at the IBM Innovation Center in Austin on November 11th for an exciting afternoon of learning and networking as a group of talented entrepreneurs deliver their best pitch in front of a panel of guest judges in hopes of being named to the Innovate!100 list of 100 most promising startups. The program of pitches will be followed by a networking cocktail. The 8th annual Texas Wireless Summit continues the tradition of providing a forum for industry leaders to discuss emerging technologies and business models that will shape the industry over the upcoming two to three years. ATC provides executive level forums, local industry data and c-level advocacy tech leaders in Central Texas.